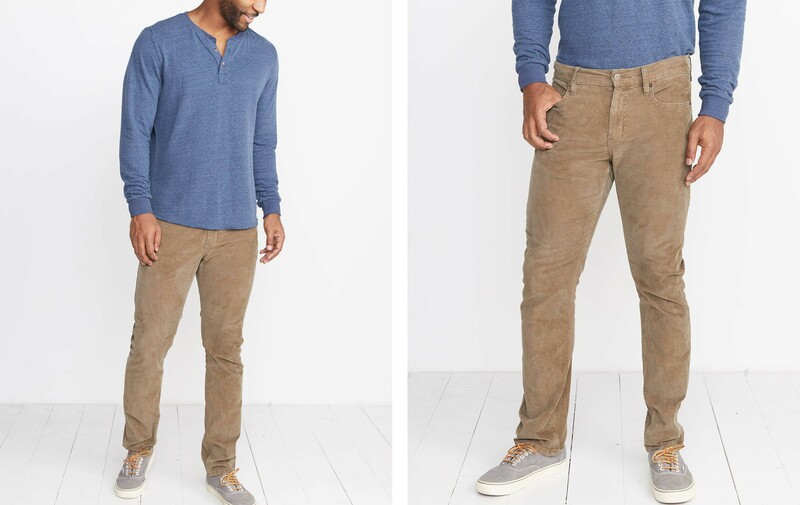 These pants have the same body as the 5 pocket pant (Slim Straight) fit, but these are in arguably the coolest fabric of the season: corduroy. 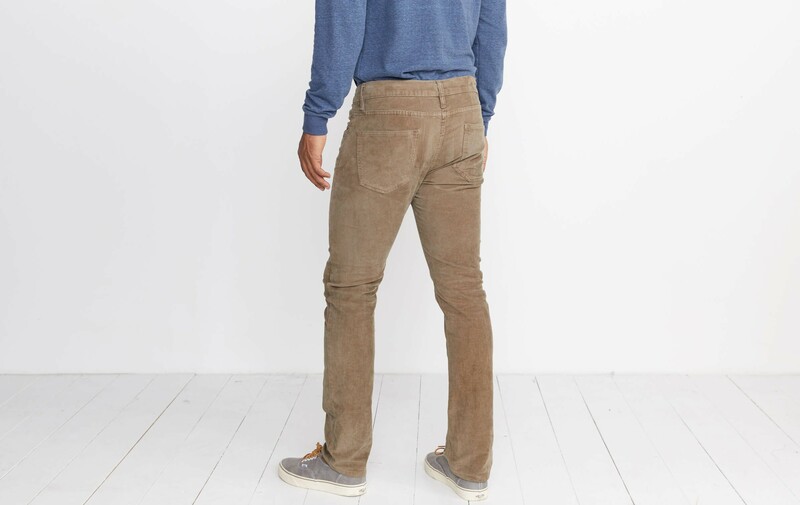 16-whales of soft garment-dyed corduroy that give it depth. Made with 16-wale stretch cord so there’s some stretch in there for comfort. 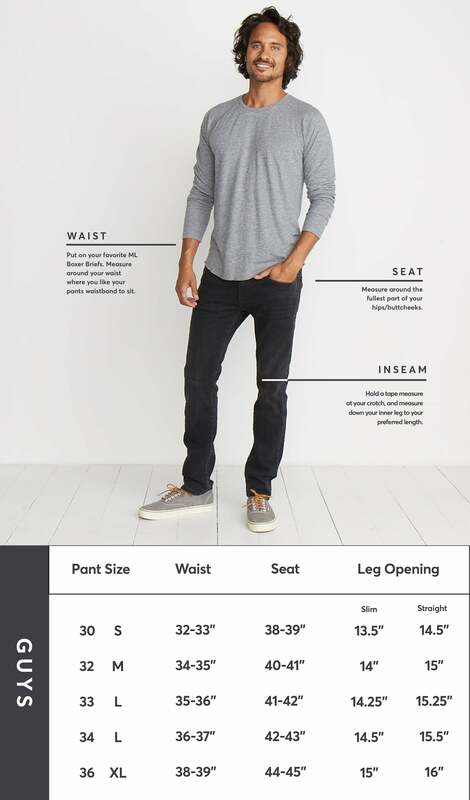 It’s a bit heavier than your average fabric, but that's a good thing: it lets you know its a substantial, durable fabric that can take a fall. Colin is 6'1", wears a 32x32, and in case you were jealous about how nice he looks in our tees....just know he puts them on in a really weird way. Sorry Colin, you know it's true.